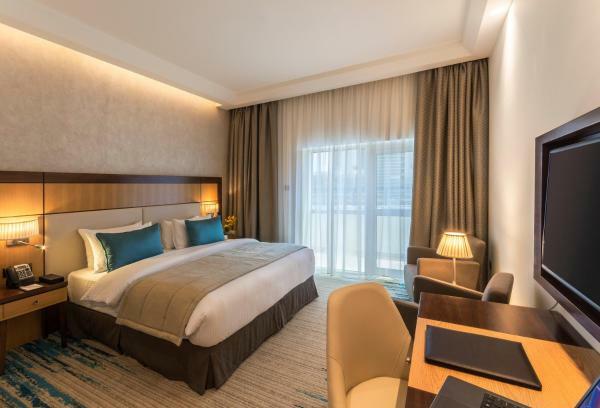 The 4 star Golden Tulip Media Hotel is a 5-minute walk from Dubai Internet City Metro Station and next to Dubai Internet City, Dubai Media City and the Knowledge Village. The self-catering suites at Golden Tulip Media Hotel feature modern décors, 40" Full HD IP smart TV and a Media Hub and spacious bathrooms. 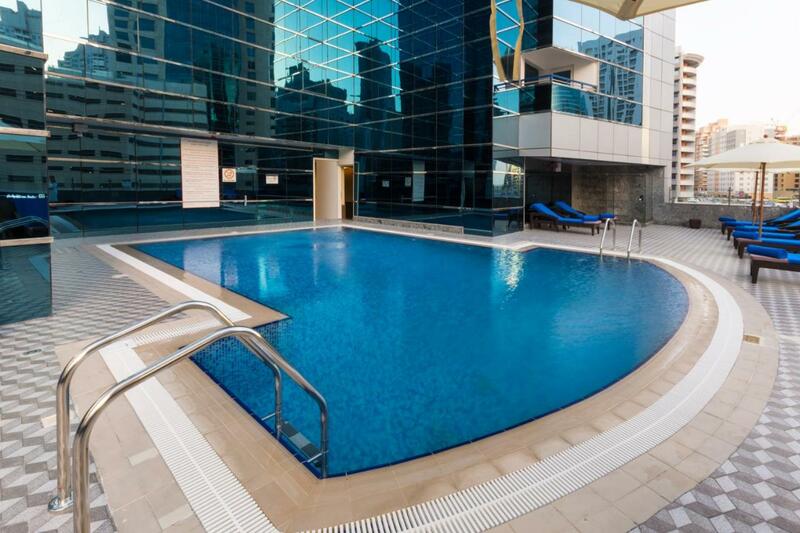 Facilities includes a swimming pool, sauna, hot tub and a fitness center which features cardiovascular equipment, a spa with massage service and steam room.Other facilities are a prayer room, banqueting, meeting rooms, business center, and 24 hours room service. 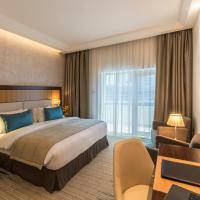 Golden Tulip Media Hotel is a 6km from Mall of the Emirates and close to other famous shopping centers. A convenient supermarket is also available open for 24 hours at the hotel's ground floor. Please note that this is a dry hotel (non-alcoholic). Please note that visitors are not allowed in hotel rooms. Guest will require to show the credit card used to make the booking upon check-in. The credit card holder needs to be a room guest for verification purposes. Guests are required to show a photo identification and credit card upon check-in. Please note that all Special Requests are subject to availability and additional charges may apply. Parking is subject to availability due to limited spaces. This property will not accommodate hen, stag or similar parties. All children under 12 years are charged AED 150 per night for extra beds. 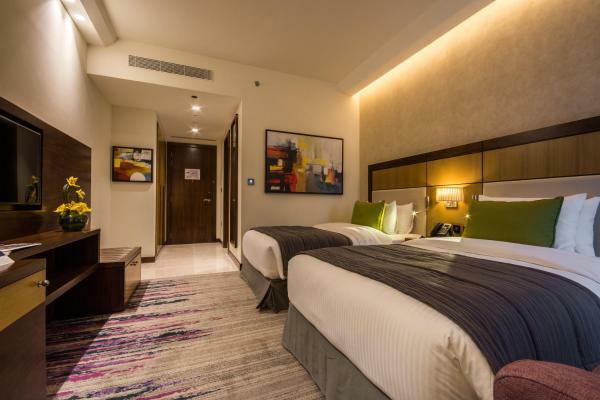 All further older children or adults are charged AED 150 per night for extra beds.